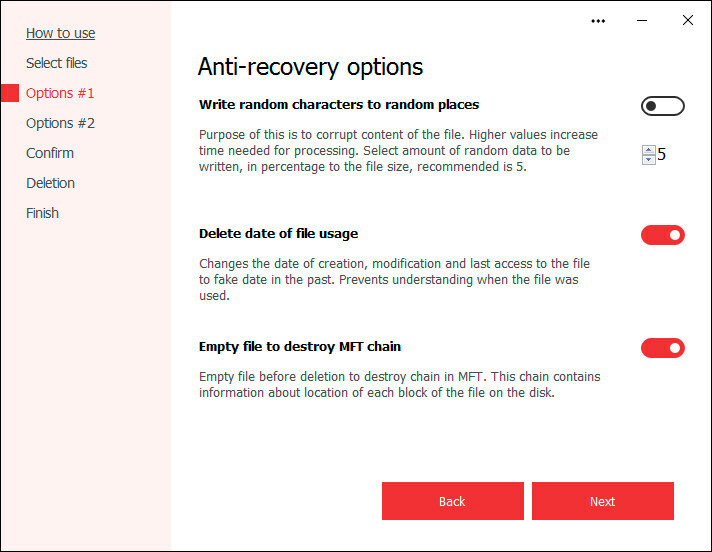 This free tool will permanently wipe the contents of deleted files so that nobody would be able to recover them, even with the use of special tools. 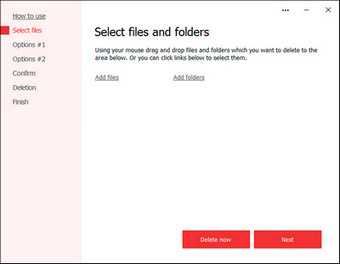 The contents of deleted files will be overwritten using random data. You can choose many security algorithms for data destruction. The program can write a combination of ones and zeroes, or any characters, onto any sector of your hard drive. We designed a simple, user-friendly interface, but the program is very professional and powerful with many valuable security features. There is no need to overwrite the entire free disk space, which usually takes hours. With this program, everything will be done very quickly.